Regular users of the following Uganda Pools told us the most essential thing about swimming is always to control your breathing. Sometimes this is not possible because we raise the neck to breathe and the body isn't aligned. To avoid this, our head really should be aligned with our spine all of the time. The best choice for the duration of your visit to Uganda will be droping by a Uganda Swimming Pool. We probably don't know all the Pools in Uganda. Are you missing any? Contact us!. Are you a frequent swimmer? Have you ever practiced Aquagym in Uganda? Let us know!. Please get in touch with the sports centre in Uganda to check which activities are being provided and their timetables, since Uganda Pools might have different rules and fares than other places. 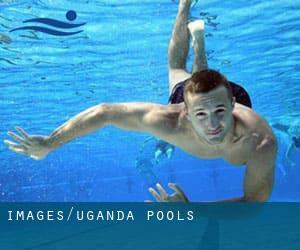 Swimia.com has the most up-to-date database on the web about nearly any Uganda Swimming Pool. Classified by countries, regions and cities, it can be uncomplicated to locate the nearest pool at the places you visit. For Uganda, you could have a look at the pools we have gathered for you. One of the advantages of outdoor swimming in Uganda may be the possibility to sunbathe during the summer season. Taking it with additional care, sunbathing is wholesome due to the fact introduces Vitamin D into the body, so the very best alternative seems to be switching between indoor and outdoor pools depending on the season. It's difficult to visit Uganda without dropping by Mbarara (with 97.500 residents). Presently Swimia is showing you all of the Swimming Pool in Mbarara and the closest pools situated in its vicinity. Whereas Gulu is among the six most populous cities in Uganda with almost 146.858 residents, you shouldn't miss that one if you're going to Uganda. Without a shadow of a doubt, swimming in Kampala is the best way to unwind after function. 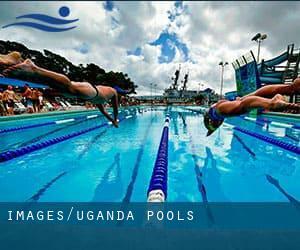 Take a couple of minutes to browse Swimia's catalog to find a Swimming Pool in Kampala. Let us tell you a secret to switch off though you are in Lira: just select a Swimming Pool in Lira and plunge into the water! There's no even more effective method. Plot 2-4 Wampewo Avenue , Kampala . This sports centre delivers 25 meters x 12.5 meters, 3 feet - 12 feet depth, Outdoors. Contact info for this Pool for instance phone number and e-mail address are number.